In it’s 25 year history, Quickblade has been lucky to acquire many life long friends. Recently we got to talking about some of the long time QB fans. These are guys who have been with us – it seems – from the start and who are not looking for sponsorship, kudos, free schwag, but just genuinely love us and we genuinely love them back. It’s the kind of customer a business dreams of – but these guys are more then customers, they are family to us. We call them “The Committee” because they are our rocks, our guys and girls we can always count on for honest feedback and friendship. They represent the history of Quickblade and in some cases, the birth of a certain sport called Stand Up Paddling. If we have a committee then who would be the chairman? Certainly we have many men and women who actually fit the bill perfectly. But one silent, humble gentleman came to mind. Charlie Banfield. 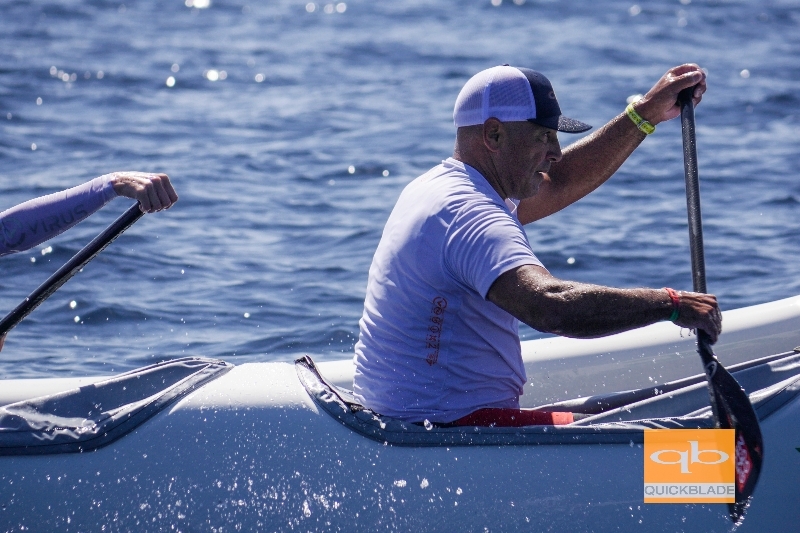 If you are in the San Francisco SUP Scene, or the San Francisco Outrigger Scene, or the San Francisco C1 Scene, or the San Francisco Paddleboard Scene (you getting a theme here? ) you know Charlie. He is the guy at most events offering the biggest smile to everyone at the event. Jimmy actually met Charlie WAY WAY back in the day- around 1994 or 1995. Charlie’s oldest son, Josh, took up Olympic Sprint Canoe and it was through his involvement in C1 that Charlie came into our life. In 1996 Jimmy moved back to Cincinnati and was making C1 boats with his friend Roland. And who was his first customer? Charlie and Linda Banfield. We threw a 25th Anniversary party. Of course Charlie RSVP’d that he would be coming to the party. He showed up 2 hours early, went to the store and got ice, helped set up tents and put out goodie bags. Then around 3pm, he turned and said “got to go”. He had flown in from San Francisco just for our party – left his house for the airport early in the morning, flew to Orange County, rented a car, etc…hung out with us for a few hours and hopped back on a plane to get home that evening. That’s the kind of friendship that paddling brings you. If you ever get a chance to meet Charlie and see that smile, you will know why we treasure him so much. 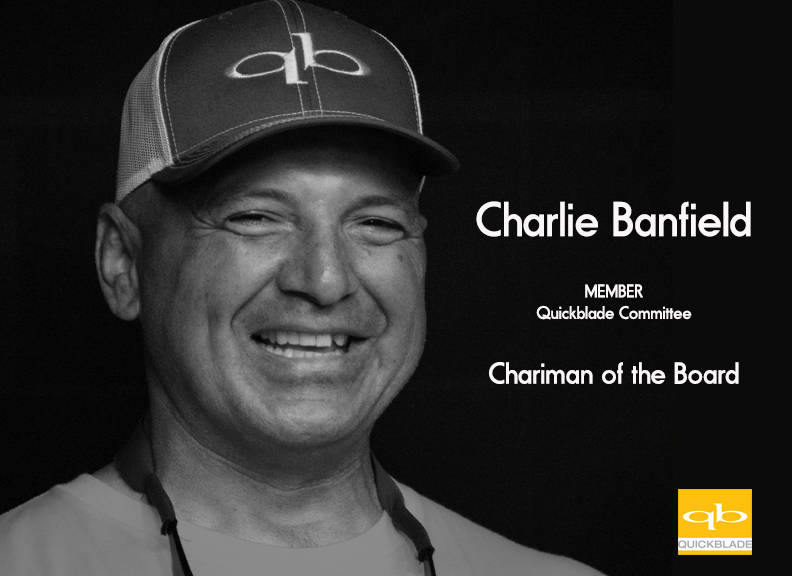 In honor of him being named the Chairman of our Committee – we invite you to find Charlie Banfield, buy him a beer and tag us in the photo. We will hook you up with some QB goodies! I have met Charlie and Linda! You described Charlie perfectly! They are a wonderful family and I am so blessed to know them and spend time with them. They are great teachers and they lead by example. Charlie has the most incredible smile and it is contagious!! Keep on Smiling!! Charlie is a great mentor. He will give time to anyone willing to learn. Absolutely a great coach and a all around good guy. I have been very blessed to have made his acquaintance.